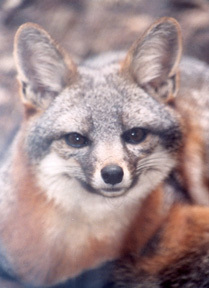 Wednesday, December 12th at 7.00 P.M.
As part of the Shore to Sea Lecture Series, Tim Coonan, biologist for Channel Islands National Park, will speak on the most current information regarding the island foxes on San Miguel, Santa Rosa and Santa Cruz Islands. This is a great opportunity to hear the most up-to-date information on the island foxes on the northern islands. Hear an interview with Tim Coonan.